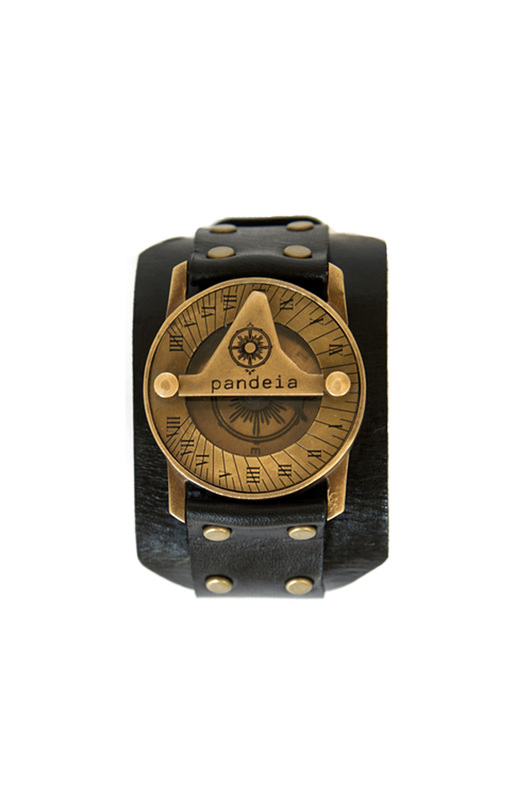 Pandeia is inspired by the past, designed in the present, and created for the future. 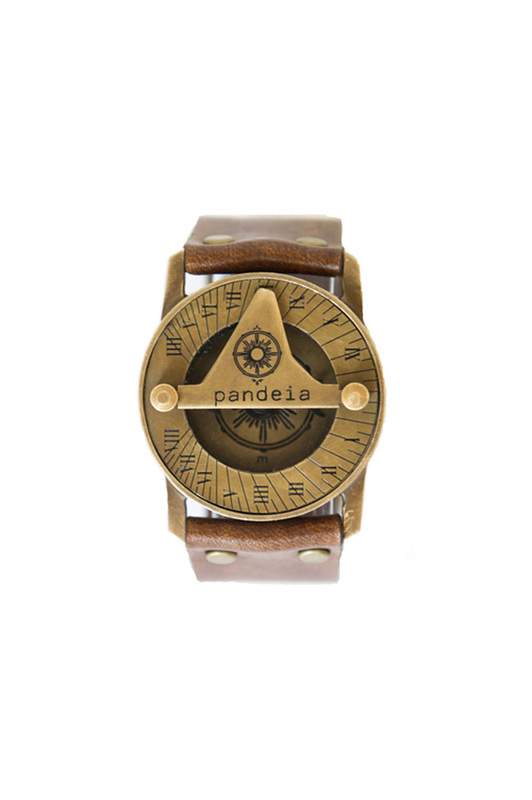 Every compass sundial watch has been handcrafted at a studio tucked away deep in the jungle, on the island of Maui. 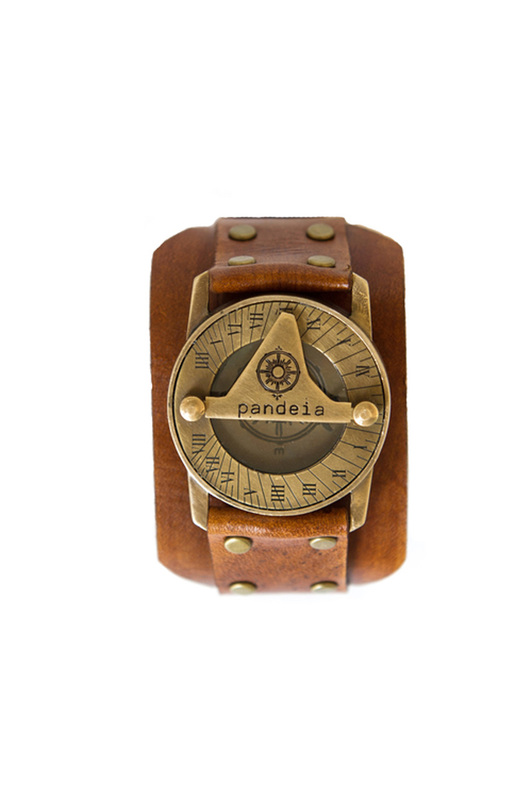 Here each piece is carefully constructed from hand cut, naturally stained leather and antiqued brass. 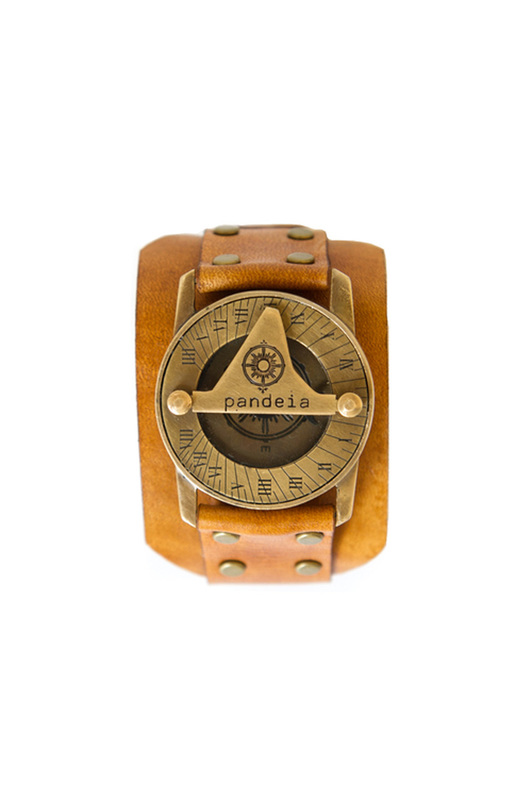 Every watch is then numbered for authenticity on a stamped tag. 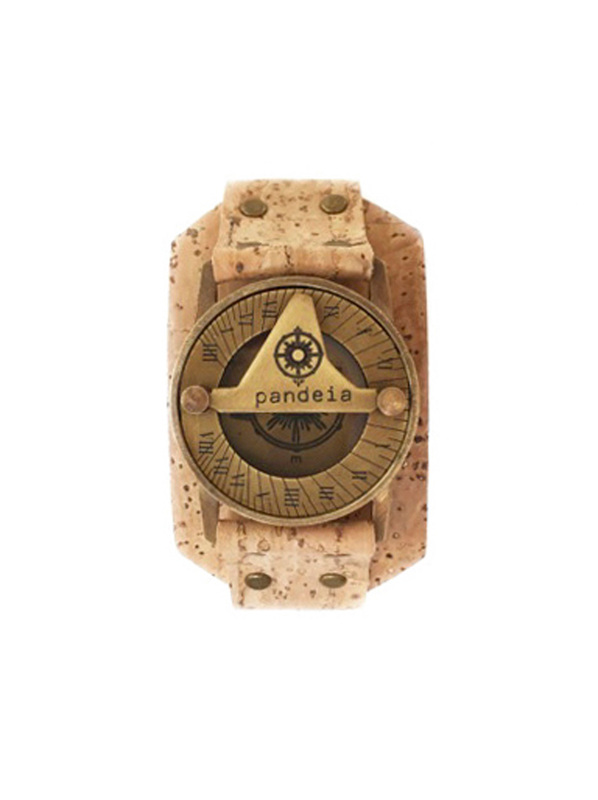 Directions for use are engraved on the back. 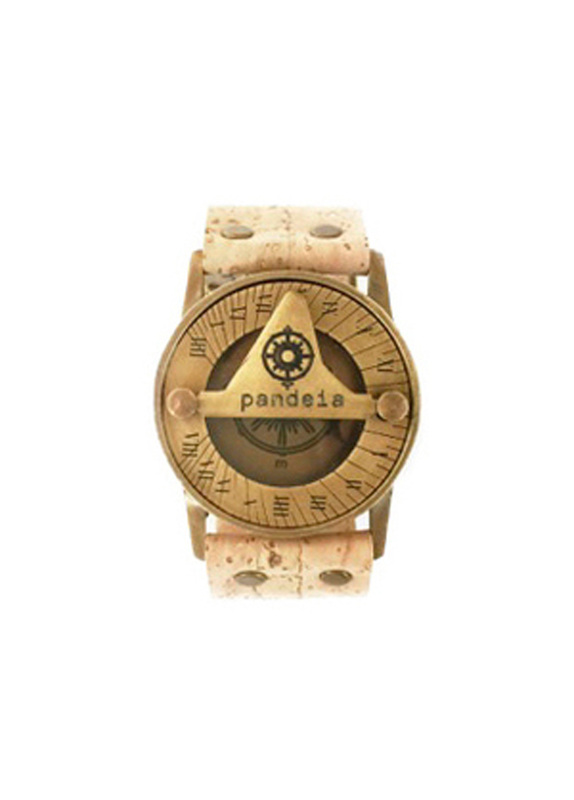 There is natural variation in the work making your watch as unique as the free spirit wearing it. 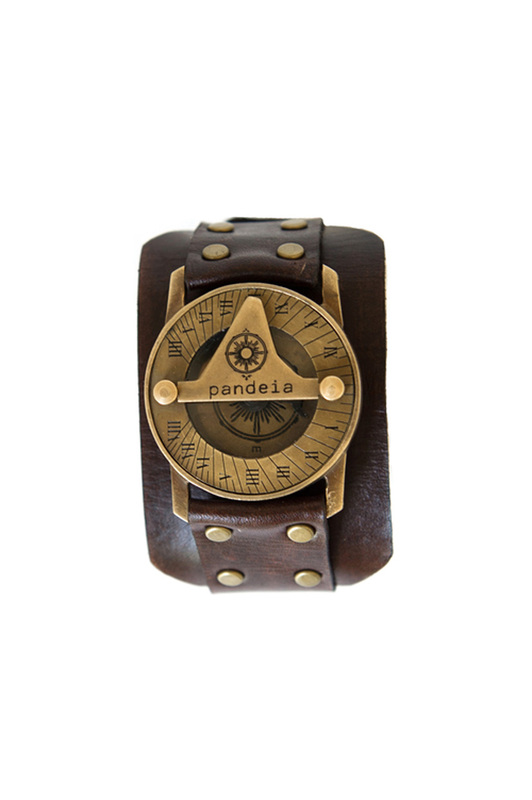 Pandeia is about living and thinking free, outside the boundaries of time. 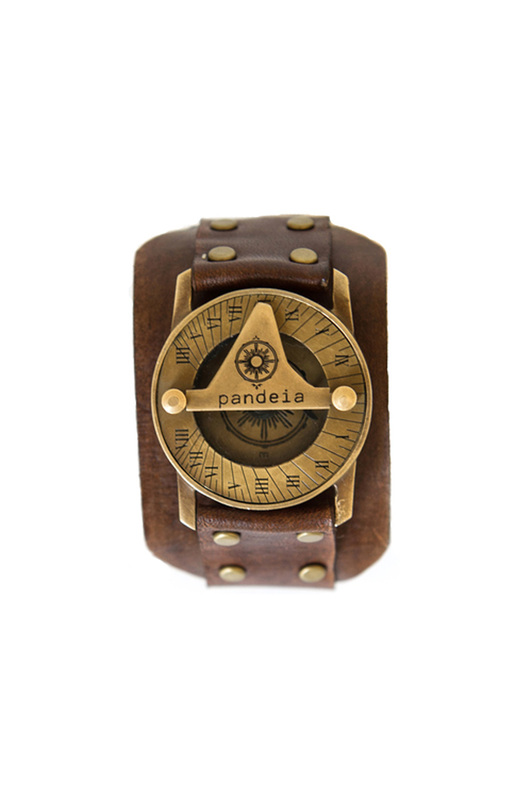 Exploration and adventure have given rise to this wearable reminder that the time is now.